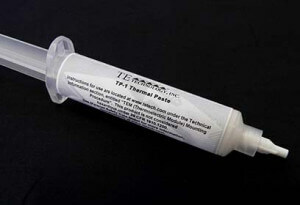 Thermally conductive paste and other accessories for building and testing Thermoelectric (Peltier) cooling systems. General purpose zinc oxide thermal paste improves the heat transfer between adjoining surfaces. 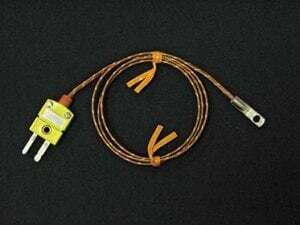 Used when mounting thermoelectric (Peltier) modules, temperature sensors, and when attaching objects to cold plates. 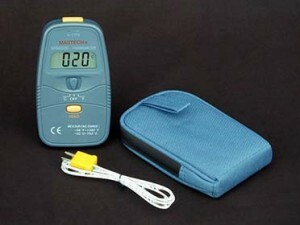 Non-silicone, exhibits zero bleed. Product weight: 28.4 grams (1 oz. ); enough to cover approximately seventy 40 x 40 mm modules on both sides.